​Edith Müthel is the author of several articles about her life as a German-Russian, including "Recollections of Life in Norka", "Ackerbestunde in Norka", "Norka, a Large Colony on the Volga", and "Christmas in the Colony of Norka on the Volga." 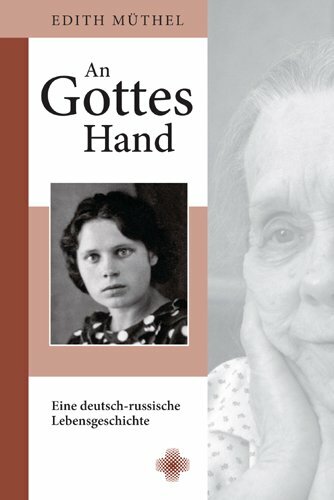 In 2012, Edith's book, An Gottes Hand. Eine deutsch-russische Lebensgeschichte, was published by Verlag Gustav-Adolf-Werks in Leipzig. The book contains a chapter titled "The Last Christmas in Norka" in which Edith describes the joy she experienced during the Advent season of 1931. The spirit of the holiday stood in sharp contrast to the depressed mood in the village resulting from Stalin's forced collectivization of agriculture. Born Edith Pfeiffer in St. Petersburg (then Petrograd) on August 31, 1919, she was the daughter of Norka's last pastor, Emil Pfeiffer and his wife Anna Friederike (née Seidl)​. Edith's early years were spent in St. Petersburg while her father was attending the Lutheran seminary. After her father was ordained in 1925, he was assigned to serve the colony of Mühlberg on the lower Volga. In 1927, Rev. Pfeiffer was called to serve the colony of Norka. The Pfeiffer family lived in Norka from 1927 to 1932. As was the fate of many clergy during Stalin's reign of terror, Edith's father was first arrested in 1932 for anti-Soviet activity and taken to Saratov where he was banned from practicing religion. He was arrested again in 1934, 1937 and 1938 for failure to comply with the ban. In 1939, Rev. Pfeiffer was executed in Moscow by the Soviets. Edith, along with her mother and siblings were deported to Siberia in 1941. They remained there until 1956 when ethnic Germans were allowed to move away from the special settlements. The Pfeiffer family was able to relocate to St. Petersburg where Edith continues living today (April 2016). She is an active member of the St. Petrikirche in St. Petersburg. Müthel, Edith. An Gottes Hand: Eine Deutsch-russische Lebensgeschichte. Leipzig: Gustav-Adolf-Werk, 2012. Print.